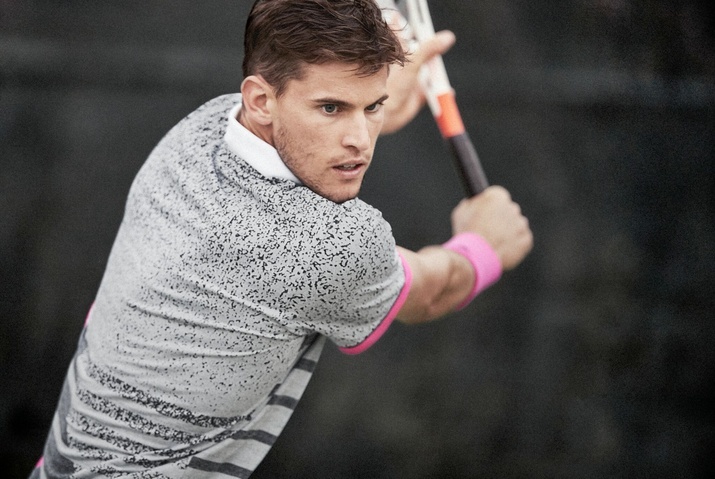 Herzogenaurach, Germany: adidas unveils its latest high-performance tennis collection to be worn by leading players and designed to bring colour to London at the tennis community. Inspired by the street style theme of the adidas x Palace Wimbledon collection and looking to the French Riviera in the late 1980s, adidas combines sleek silhouettes with flashy neon colours to create a bold and diverse look after the Wimbledon whites. The collection will be seen on court at the US Open series by athletes including Angelique Kerber and Lucas Pouille. The adidas collection has been designed to make a statement on the court and create a splash of colour after the all-white apparel seen at Wimbledon. The apparel gives a nod to the bold neon colours of the 80s. Adding a modern twist to the retro aesthetics, adidas has played with colour, cuts and details to create an edgy look designed for Creators. Equipping athletes for the tournaments in the US swing, the sportswear is equipped with adidas’ leading and innovative Clima technologies – including Climacool and CLIMALITE, which uses ultra-breathable moisture-wicking fabrics to keep athletes cool and dry for every match. 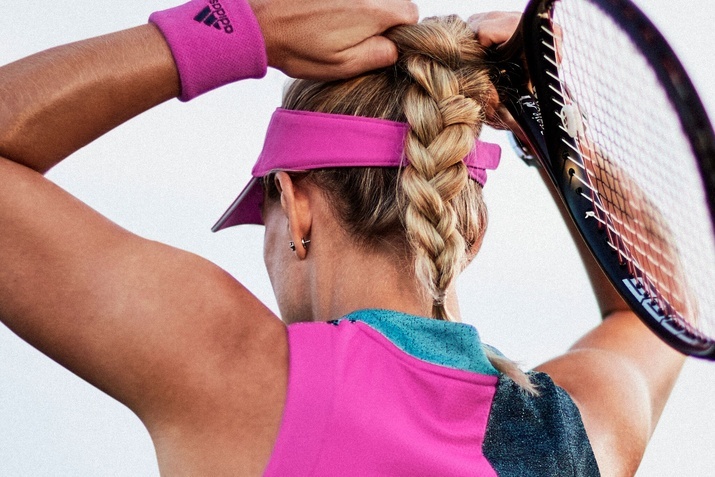 Angelique Kerber will debut the adidas In-Line Seasonal Tank, with Climacool technology designed to keep athletes cool no matter the conditions. Featuring an 80s-inspired colour palette, the tank is available in in two colours, white and teal, with each variation featuring stylish details including neon pink panelling and mesh inserts. On court, Kerber will pair the tank with the 2018 seasonal skirt in both white and navy. Also in the women’s collection is the adidas In-Line Seasonal Tee and Seasonal Short creating a fresh, unconventional silhouette with a slightly cropped, box-like fit. In white and neon pink, the Seasonal Tee includes vibrant pops of colour through panelled detailing. Featuring adidas CLIMALITE fabric, the Seasonal Tee aids optimum comfort in any heat. The final garment in the new line is the adidas Seasonal dress. Made from Climacool fabric, the all-white dress is lightweight and provides ultimate comfort and cooling for elite players. The collared dress also features neon-pink detailing. In the men’s collection, athletes including Lucas Pouille will wear the adidas seasonal tee in shock pink, featuring an unexpected silhouette and flashy colours splashed on the front of the tee resembling the retro fashion of late 1980s. Also in the men’s collection is the polo, featuring adidas CLIMALITE fabric which allows players to stay dry with every serve and return. The Seasonal Polo features neon pink mesh inserts along the body and sleeve, creating a vibrant flash of contrasting colour. The 2018 adidas In-Line collection will be available online at http://www. adidas.com/tennis.